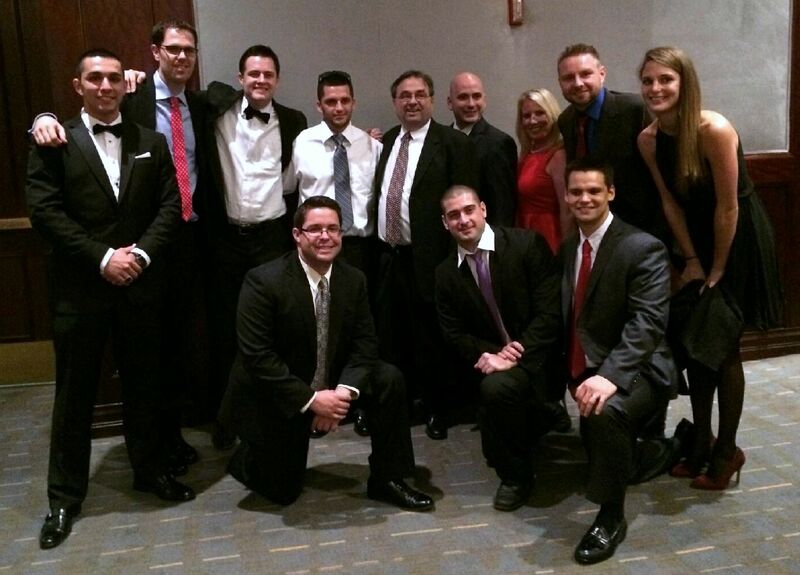 Here is a great group picture of mentees surrounding this year’s Preceptor of the Year, Otto Cipolla. This photo was taken after Mr. Cipolla was recognized at the School of Law Dinner. Congratulations to Mr. Otto Cipolla!!! 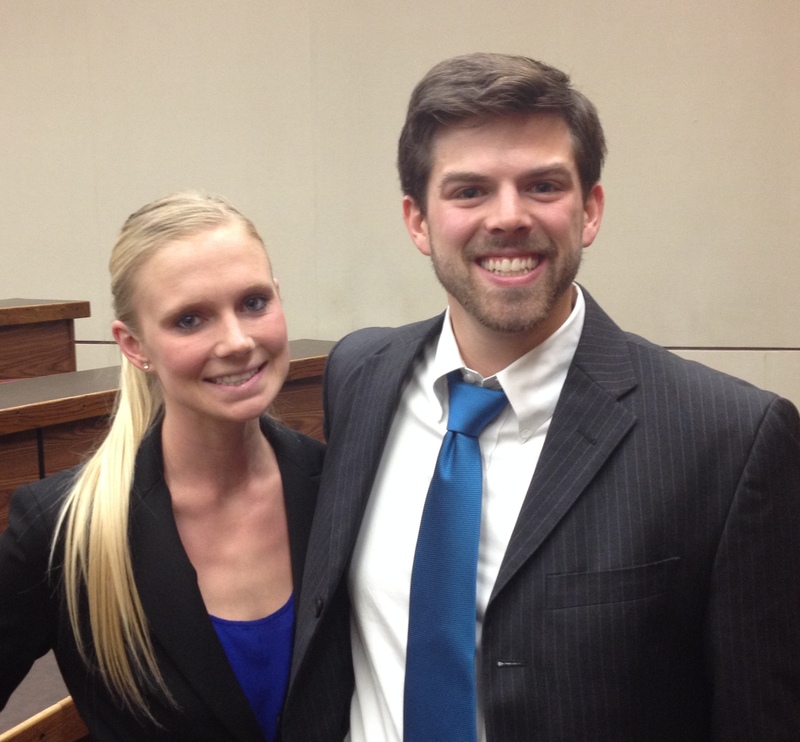 It was a very close final round, but Lindsay Johnson and Jacob Brown emerged as champions of the Moriarty Moot Court Competition for 1Ls yesterday afternoon. Congratulations to Lindsay and Jacob! 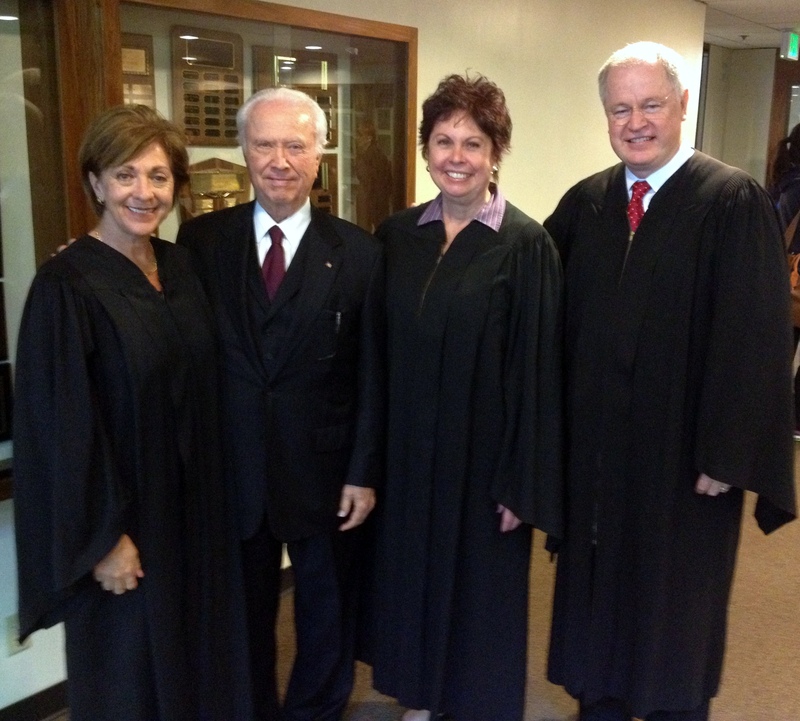 Pepperdine Law classmates from the Class of 1985 (and good friends) Judge Terry Bork, Judge Catherine Purcell, and Professor Nancy McGinnis reunited to serve as the final round bench, and they were fantastic. After the competition, it was a special treat for the attendees to hear their stories from law school and to see the special lifelong friendships that come from Pepperdine Law. Here is a picture of the final round bench with “their” dean, the founding dean of the law school, Dean Emeritus Ronald F. Phillips. Most of the time we focus our Blog energies on things happening specifically here at Pepperdine. Today, however, I want to focus some attention on a wonderful situation that happened in large part to the students of a local law school (USC). 74 year-old Mary Virginia Jones was released today from an LA prison some 32 years after new information was introduced. You can read more about it here. 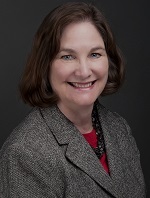 Mary’s victory was the work of law students at the University of Southern California’s Post-Conviction Justice Project. These students challenged her case, claiming she would not have been convicted if the jury had heard expert testimony about the impact of intimate partner battering, formerly referred to as battered women’s syndrome. As I researched the program at USC, I was happy to find there are programs/projects like this one on several law schools campuses across the country. The Innocence Project in particular has already over 300 convicted persons. Learning the law is great but it’s incredibly powerful when its learned put into practice with the aim of providing justice for those without much of a voice. Maybe we can look at growing a program like this here at Pepperdine Law soon!?!? In the spring semester of their first year, law students write an appellate brief and orally argue their case as part of their Legal Research and Writing class. Teams may “opt in” to the Col. John and Maria Moriarity First Year Moot Court Competition and compete for recognition and prize money. The first rounds of the Moriarty Competition took place last Saturday, and last night witnessed the quarterfinal and semifinal rounds. Four first-year students (two teams of two) are left standing to square off in the finals on Wednesday afternoon at 4pm. Congratulations and best of luck to Jacob Brown, Lindsay Johnson, Andrew Kasabian, and Sonya Tamiry! Academic Advising Week Begins Today! As Director Oliver mentioned in his post on Friday, this week is Academic Advising Week. Our first-year students are required to take a prescribed set of courses and have little in the way of options. That changes dramatically in the upper-division years, and since Pepperdine Law has such an amazing array of offerings, the options can be quite overwhelming. We launched Academic Advising Week a year ago to help alleviate any confusion and allow our students to take advantage of the rich opportunities available to them. 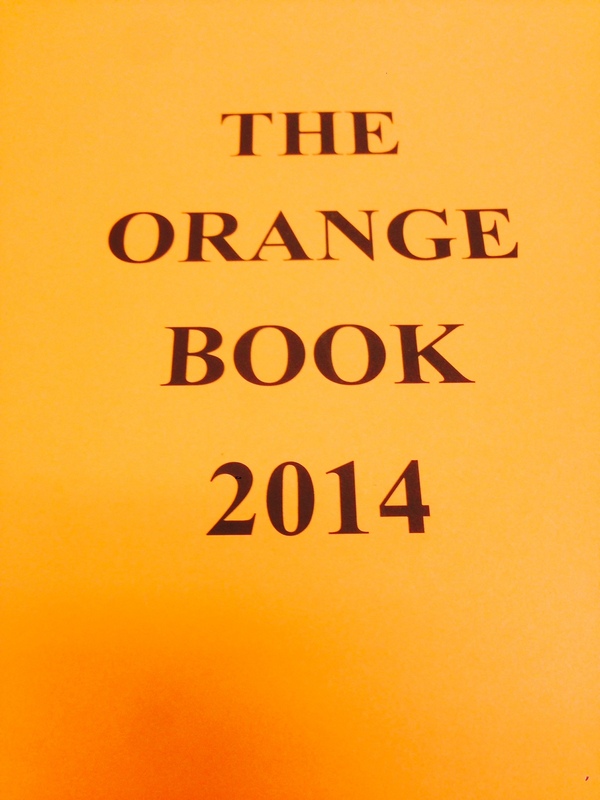 Today, Dean Saxer and I will provide an important overview (and The Orange Book). On Thursday, students can meet with our upper-division faculty, and on Friday, they can meet with twenty-three (!) practicing attorneys from a wide range of career practice areas! Beginning at lunch this coming Monday, March 24th. The School of Law will commence Academic Advising Week. AAW is a week long set of lunchtime activities provided for 1L’s to learn about the numerous possibilities available to them during their second and third years of law school. During the week students will have the opportunity to learn about available programs, clinics and externships, meet with faculty, to learn about specific class offerings and even do a little networking at the career practice fair hosted by our Career Development Office. All of the information is delivered to 1L’s in the form of something we call the ‘Orange Book’. It’s going to be a busy week but it’s a really important one for keeping students on track during their law school career. I grew up in a culturally and ethnically homogeneous community, so I have developed a great appreciation for the diversity found in the Los Angeles community. It is particularly enriching to work at Pepperdine Law and have the opportunity to interact with the student organizations that represent such cultural and ethnic diversity, including APALSA (Asian Pacific American Law Students’ Association), ALSA (Armenian Law Students’ Association), BLSA (Black Law Students’ Association), JLSA (Jewish Law Students’ Association), and although currently inactive, LALSA (Latin American Law Students’ Association). 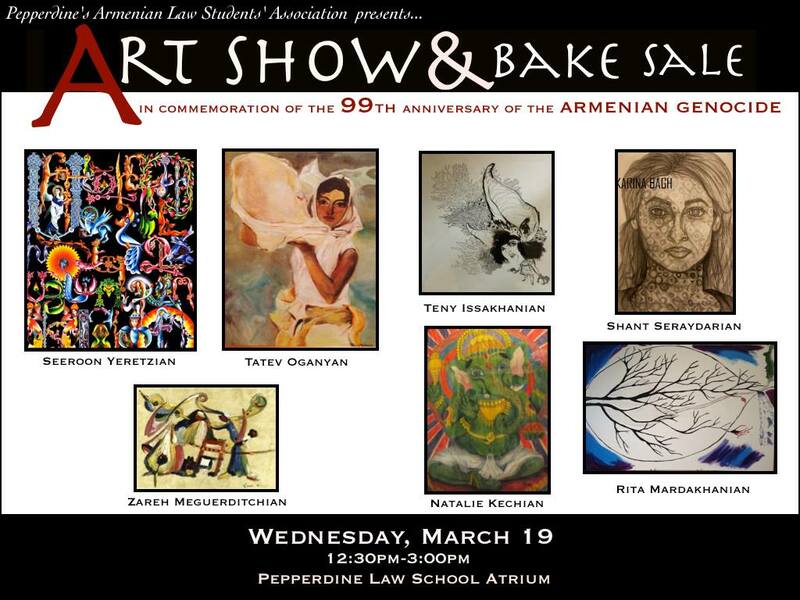 Yesterday, the Armenian Law Students’ Association held an Art Show & Bake Sale to commemorate the 99th anniversary of the Armenian Genocide. We have a large number of Armenian law students, and it was such a pleasure to hear the students talk about their community’s art, cuisine, and history. 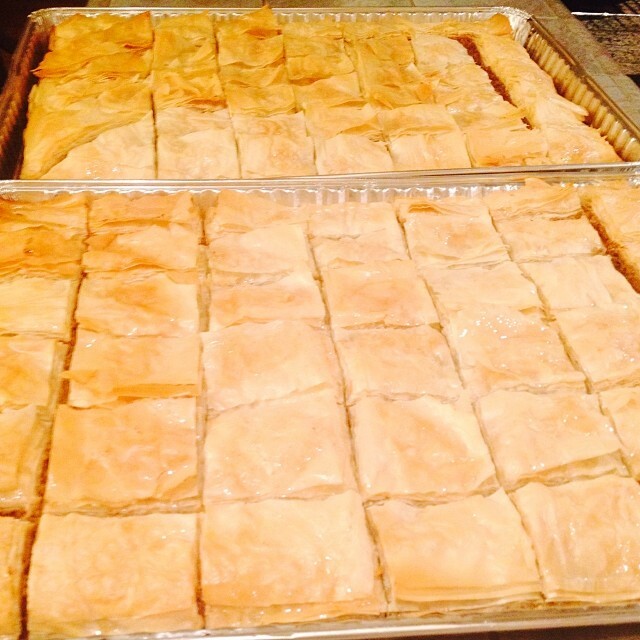 And since I have a definite sweet tooth, I must admit that it was particularly enjoyable to taste the goodness that is “baklava.” 🙂 Here is a picture of this great dessert fresh out of the oven borrowed from one of our students who hosted the event!!! Today wasn’t just a normal Wednesday here on campus. Today was the annual In-N-Out truck visit sponsored by SBA! Free Cheesburgers, Hamburgers and Grilled Cheese for all students, faculty and staff is always a hit and today was no different! 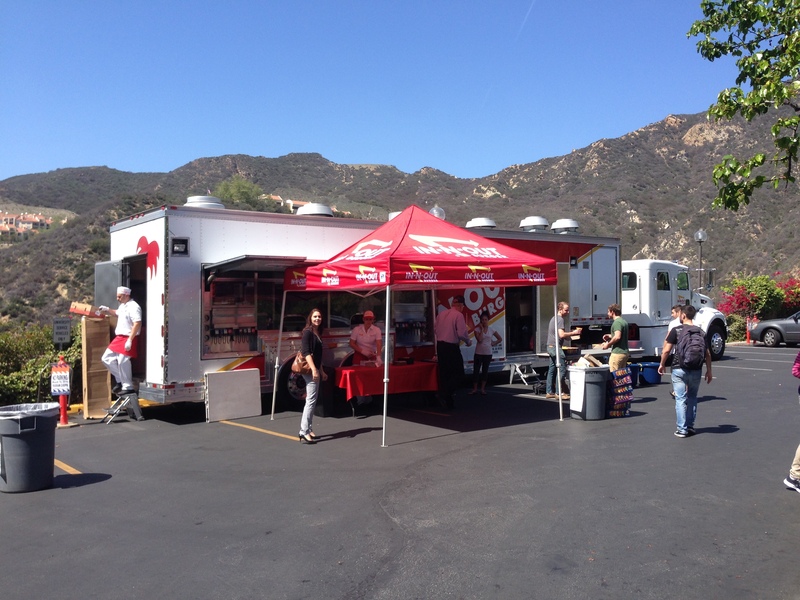 The In-N-Out truck cooked up over 450 burgers between lunch – 1:30pm today, it was great to have them out taking care of all these hungry folks! 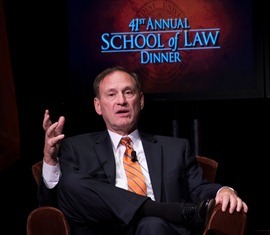 Click HERE for a great recap of the School of Law Dinner featuring United States Supreme Court Justice Samuel A. Alito, Jr.